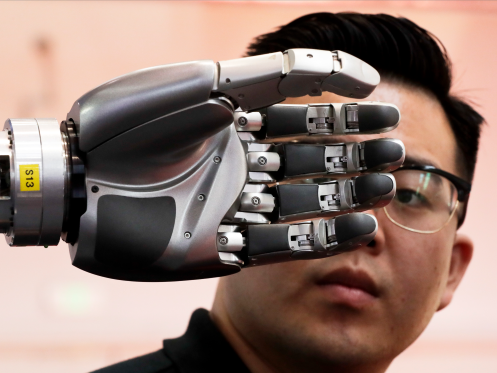 Below are few photos from China’s world robot conference. sourced from Business insider. 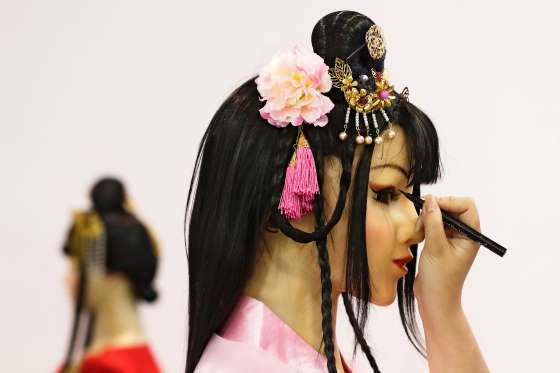 One of the most iconic (and surreal) ways to use AI is in humanoid robots, which require assistants to apply their makeup just like any other star. Drone manufacturers demoed models that communicated with skull caps so people could control the flying machines with brain signals alone. 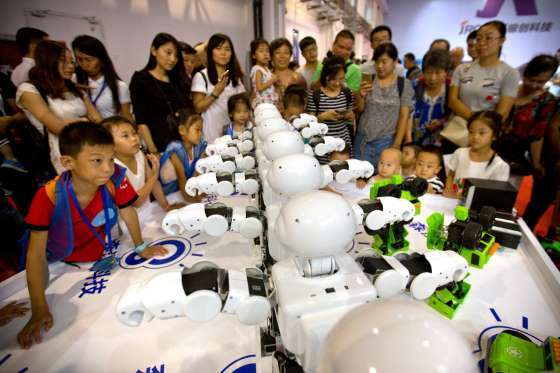 At one point, robots made by the company Senpower performed a synchronized dance routine for onlookers. 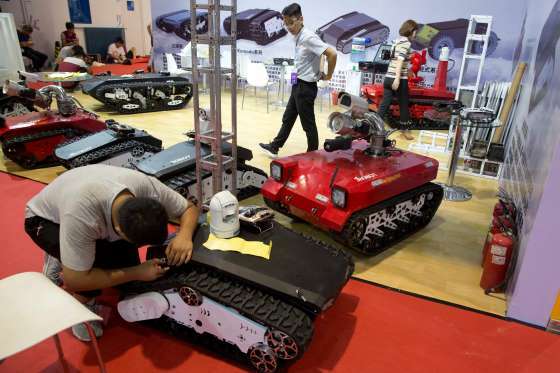 While people walked the conference floor, staff released several autonomous robots that roved the event. 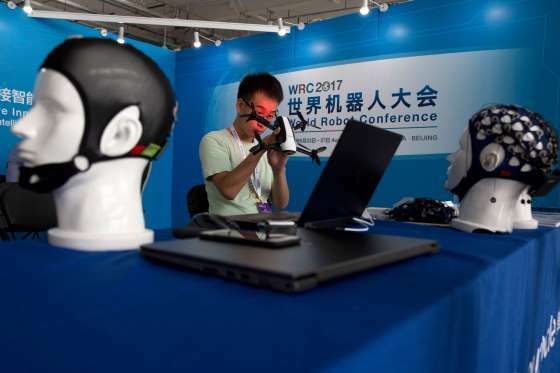 Competitions between college students were also held to see which school’s robot best executed certain commands.